Branching Morphogenesis is an investigation of the relationship within branching structures formed by interacting vascular cells. The study and quantification of this network allows for greater understanding of how variable components give rise to structured networks in biology and architecture. The primary function of the lung is to provide gas exchange during our post-natal life. Determining how networks of blood vessels are generated and maintained during development represents a major challenge in contemporary lung biology. The aim of this project is to model the networking process involving blood vessels and airways in vitro. 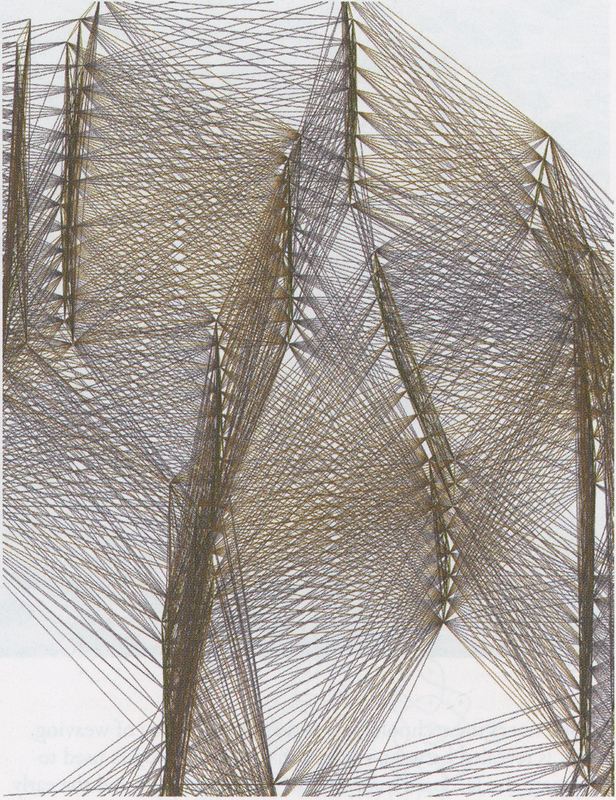 The resultant digital tools and structures are abstracted for architectural application. Using parameters that govern branching morphology, the study investigates how cell-to-cell and cell-to-underlying-extracellular matrix networking interactions develop. We have experimented with modification of parameters that prohibit networking behavior such as intercellular communication, environmental catalysts, and cellular geometry. Biology and architecture regularly borrow from each other. Tensegrity structures and geodesic domes have led to new insights into how living systems (such as eukaryotic cells, tissues, and organisms) are assembled and function, as well as to a new understanding of how the micro-ecology of cells influences the genome. Conversely, models found in biology, particularly relating to self-organization and the emergence of complex, non-linear, global systems from simple local rules of organization, have led to discovery of new forms and structural organizations in architectural design. The intent of this project is to jointly investigate fundamental processes in living systems and their potential application in architecture. Through investigation of cell-tissue biological models, algorithmic tools and digital models reveal the parametric logic inherent in biological and responsive systems. The result is a component-based networked surface architecture capable of responding dynamically to both environment (context) and deeper interior programmed systems.